Peepholes were so 2017. EZVIZ has announced the EZVIZ Lookout Smart Door Viewer which will turn your door's peephole into a camera and touchscreen display! You can also use the app to view who is outside your door! Not only that, but EZVIZ has also announced ezGuard, which is an outdoor/indoor all-in-one home security system that combines a full HD professional grade camera, smart siren, warning strobe light and onboard recording capability in one compact package. Press release is below and stay tuned to RESET.FM podcast and this forum for more. I'll be speaking with EZVIZ at CES 2018 and will show you everything! CITY OF INDUSTRY, Calif., January 10, 2018– EZVIZ Inc., a leading provider of video technology for the smart home, today announced the launch of its first smart entry security solution, the Lookout Smart Door Viewer, and ezGuard, a new addition to the EZVIZ rugged outdoor home security camera line. Through the EZVIZ app, these latest additions to the EZVIZ ecosystem can integrate with each other as well as existing EZVIZ products, and third-party voice services like Amazon Alexa, to provide an enhanced smart home experience. The ezGuard 24-7 live video monitoring and recording captures activity on the outer perimeter, and the Lookout Smart Door Viewer automatically takes over at the entryway of the home. EZVIZ’s award-winning Lookout Smart Door Viewer is a two-part smart home door entry video solution that enables an existing peephole in any door to become part of the connected home. Encased in a sleek and durable zinc alloy body, the EZVIZ Lookout Smart Door Viewer includes a high definition professional grade camera lens equipped with infrared adaptive technology for night vision. The lens connects via a secured cable through the peephole, and the action outside can be seen on a touchscreen display on the inside of the door. The EZVIZ Lookout Smart Door Viewer’s extended remote viewing capability provides the convenience of secure viewing from anywhere through the app versus having to physically walk up to the door. Homeowners can create a gallery of trusted visitors in the app, and the facial recognition technology within the Lookout Smart Door Viewer quickly and accurately identifies who is at the door so the homeowner can act accordingly. An adjustable microphone, loudspeaker and integrated chime also make it a smart video doorbell. EZVIZ’s other latest offering, the ezGuard, is an outdoor/indoor all-in-one home security system that combines a full HD professional grade camera, smart siren, warning strobe light and onboard recording capability in one compact package. The ezGuard has a proactive defense function that includes a 100 dB siren and lamp to alert the intruder that they’ve been spotted. The ezGuard’s motion detection sends your phone a live video feed of what’s going on outside. The ezGuard casing complements any décor, and can be installed outside of the front porch, over a driveway or near a gate. The ezGuard dual outdoor antennas ensure a strong connection to a home’s Wi-Fi signal even at a distance. Its built-in waterproof microphone and speaker support two-way talk for convenient and secure communication. Homeowners can talk to a person outside even before they get close to the home’s entryway. They can tell a delivery driver to leave the package at the gate, or deter a prowler without putting them in physical proximity. "EZVIZ brings our customers peace of mind through our intelligent, intuitive and integrable products like the Lookout Smart Door Viewer and the ezGuard because they help them see, capture, share and protect what’s most valuable to them," said Albert Lin, general manager of EZVIZ. The EZVIZ Lookout Smart Door Viewer and the ezGuard, will retail for $229.99 and $109.99, respectively. They will be available to the general public through Amazon, North American Retail and the EZVIZ website in the first quarter of 2018. EZVIZ CloudPlay, an optional cloud storage subscription, will also be available for both the Lookout Smart Door Viewer and the ezGuard. See the EZVIZ Lookout Smart Door Viewer and the ezGuard in the EZVIZ booth 41321 at Smart Home Marketplace at CES 2018, which runs January 9-12, at the Sands Expo in Las Vegas. EZVIZ, Inc., provides smart home security systems through its versatile cameras and cloud-based platform. The intelligent and intuitive products from EZVIZ enable customers to see, capture, share and protect what’s valuable to them. Located in City of Industry, California, EZVIZ is the consumer and residentially focused subsidiary of Hikvision, the world’s largest provider of video surveillance solutions. 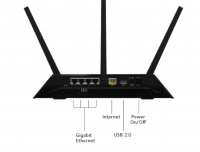 Netgear has announced a new home wifi security product called, Armor. Powered by BitDefender, Netgear Armor provides advanced cyber threat protection for your home network, mobile, iOT, and smart devices. 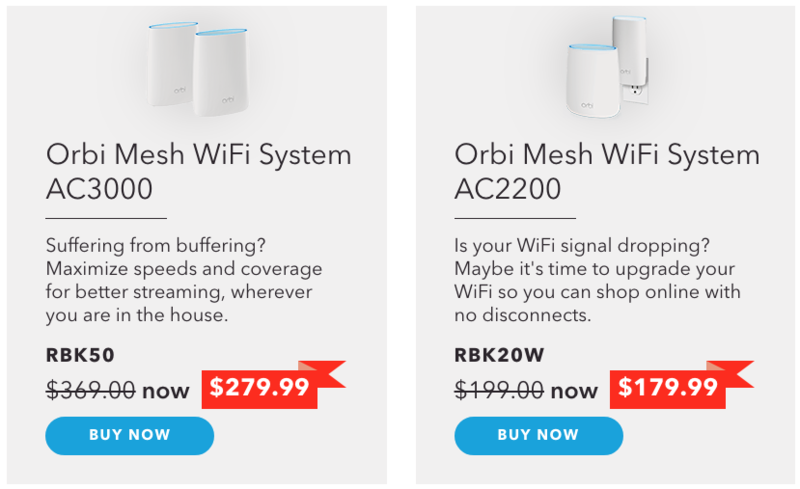 It looks to protect your home from viruses, spyware, hackers, spam, and phishing. Armor is a firmware for Netgear Wifi routers that will centralize security for your PC's and devices. It also includes the BitDefender Family Pack anti-malware software for Windows, MacOS, iOS, and Android devices. 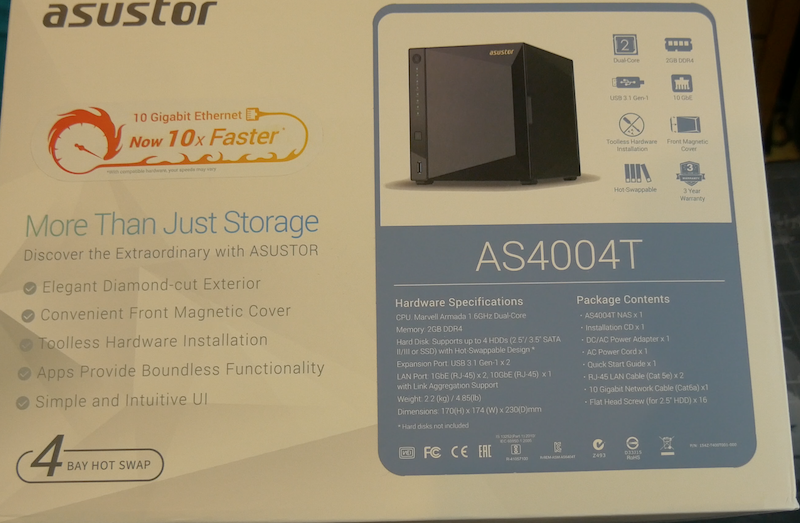 It will first be available on the NightHawk AC2300 router free for 90 days and $69.99 annually after that. Today, Netgear announced HomeKit functionality in Arlo Baby Smart HD Monitoring Camera. Parents with this camera can now easily pair it to HomeKit and ask Siri to show the baby camera. Just as fun, you can listen in on baby's room as well as view from remote. You will immediately recognize the Baby Smart Cameras as it can be dressed up to look more appealing in a child's room instead of the look of an intruding security camera. It also has temperature and air quality sensors to give you more insight into your baby's room as well as peace of mine. You can use motion alerts to stay let you know when baby's nap is over or you can use an audio alert to let you know as well. 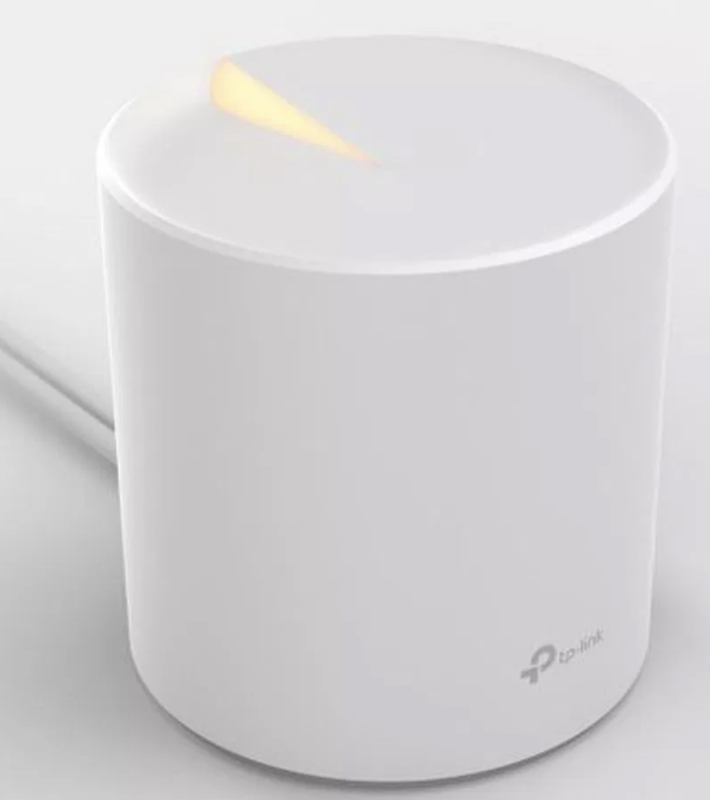 It will also send air quality notifications. One feature I think differentiates this camera from the others is the "near-invisible" infrared in order to get night vision. It also has a rechargeable battery so you can move the camera to wherever baby is. I know some of you would love having this in your home racks but this is for you enterprise guys. Seagate has just announced the 5U84 which can hold 1.0PB of data in a small enclosure. Stay tuned to this blog as I will catch up with Seagate at CES 2018 to find out more. 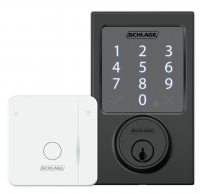 Today at CES Unveiled Schlage has announced it's Schlage Sense Smart Deadbolt will work with Google Assistant. That will come in Q1 2018 and users will be able to lock the door with "Ok Google" as well as check if its unlocked. This rounds up Schlage's smart home lock offering with access to Siri, Alexa, and now Google Assistant. They are also out front for CES 2018! Stay tuned to RESET Forums and the RESET.FM podcast for more. To allow for ultra-high performance using SSD cache without occupying internal drive bays, DS3018xs features a PCIe slot, which can be installed with a dual M.2 SATA SSD adapter card (M2D17). DS918+ comes with dedicated dual M.2 NVMe slots at the bottom where you can directly install M.2 NVMe SSDs. DS418 features 10-bit H.265 4K video transcoding, and while supporting the next-generation Btrfs file system in DSM 6.2 official, expected to release in early Q1 next year. Btrfs provides reliable data protection through its cutting-edge self-healing and point-in-time snapshot features. DS3018xs, Synology's first 6-bay tower NAS, is compact yet powerful as it features the Intel’s advanced Pentium D1508 dual-core 2.2GHz processor (Turbo Boost up to 2.6GHz) with AES-NI encryption engine; offering scalability of RAM up to 32 GB and storage capacity up to 30 drives with two Synology DX1215. In addition to four Gigabit LAN ports, DS3018xs takes advantage of boosting maximum throughput with an optional 10GbE network interface card, delivering stunning performance at over 2,230 MB/s sequential reading and 265,000 sequential read IOPS. DS918+ and DS718+ are powered by Intel‘s Celeron® J3455 quad-core processor. DS218+ is powered by Intel’s Celeron® J3355 dual core processor. Both models are equipped with AES-NI hardware encryption engine and support up to two channels of H.265/H.264 4K video transcoding.DS918+’s RAM is scalable up to 8GB, while DS718+ and DS218+ are scalable up to 6 GB, allowing you to operate more intensive tasks at once. DS918+ and DS718+ are equipped with two LAN ports, and their storage capacity can be scaled up to 9 and 7 drives, respectively, with Synology’s DX517 expansion unit. 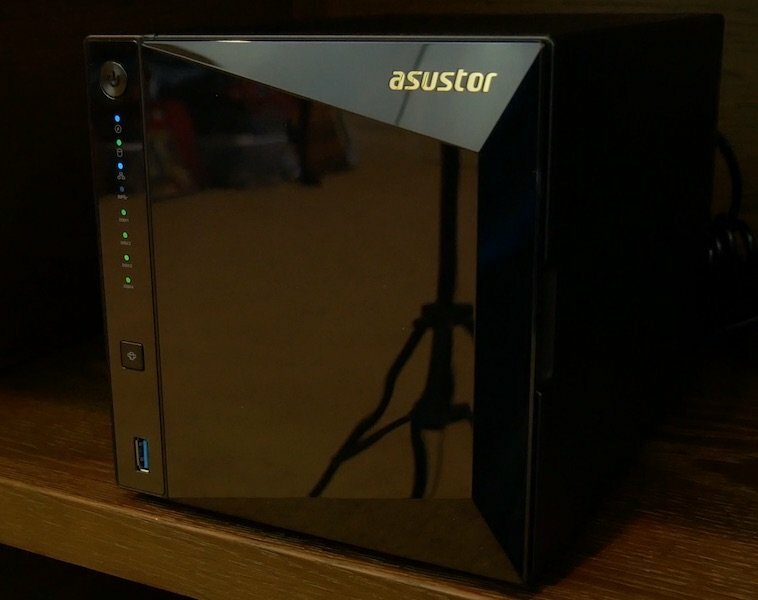 "Responding to the demands from our customers, DS3018xs is built as a comprehensive business-ready desktop NAS. Running mission-critical applications or planning virtualization deployment with DS3018xs has never been easier." said Katarina Shao, Product Manager at Synology Inc. "The new DS918+, DS718+, and DS218+ are optimized to be your digital video libraries, and will bring you an excellent viewing experience with high definition live video transcoding, regardless of device limitations." DS418 is equipped with a 1.4GHz quad-core processor with hardware encryption engine, 2 GB RAM, and two LAN ports. Powered by the hardware transcoding engine, DS418 supports H.265 4K transcoding allowing it to serve as your media library. Combined with Btrfs and Snapshot supports, DS418 is delivers more efficient data storage and more reliable data protection. 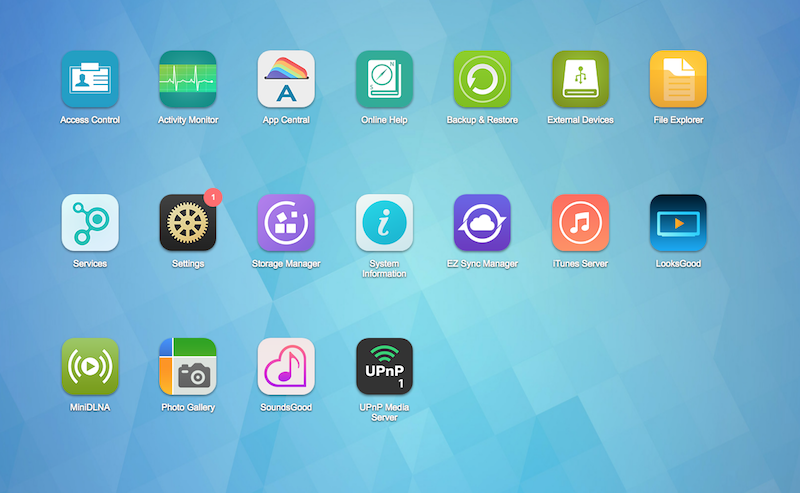 Synology creates network-attached storage, IP surveillance solutions, and network equipment that transform the way users manage data, conduct surveillance, and manage networks in the cloud era. By taking full advantage of the latest technologies, Synologyaims to help users centralize data storage and backup, share files on-the-go, implement professional surveillance solutions, and manage networks in reliable and affordable ways. Synology is committed to delivering products with forward-thinking features and the best in class customer services. 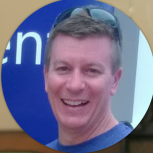 Also, if you are a Patron, https://patreon.com/davidmccabe, at the $5 or higher level, you have a ticket to Meetup 17. You do need to RSVP though. Please use a PM here, email, Patreon PM, etc. Patrons are also invited to a RESET HQ Tour on Friday night. Come on all, sign up as Patrons!!! I purchase food based on your RSVP's and PayPal reservations! Sometimes folks can't make it after reserving, that is fine. The earlier you can reserve your spot the better! Also, use this thread to secure transportation with each other. If you are flying in, let us know your details and maybe you can hitch a ride with someone. If you want to carpool, drop your location here and maybe someone else close to you can share a ride and some gas. You never know! I'm currently speaking with area hotels. I'm trying to secure a group rate at the closest, Hyatt Place. There are several events happening this weekend and they seem to be fairly booked but I'll let you know for sure. Lastly, RESET stickers for all! That's why you're coming right? If you are new to Meetup I can tell you it is a great time. We have equipment demos and a lot of folks bring their servers, media gear, etc. There is always something new and ALWAYS something to talk about. Remember Meetup 16? I dropped a bombshell on everyone and published the final episode of HSS Podcast and launched RESET Podcast. All in about 30 minutes! I was super emotional during that and it was totally unplanned! Did anyone film that? You never know what surprises I have in store for you! My area is exploding in growth so you might want to bring your family to shop and explore the area. They are also invited to have lunch at Meetup. If you want to do that let me know and I can arrange that with you. I've found that most spouses don't want to stick around as the geekery tends to get very thick and unbearable for them. Ha ha ha! Location - SAME Location! 8900 Keystone Crossing, Indianapolis IN 46240 Map here. Here is the closest hotel with the best pricing. There is also Marriot North. Thank you for visiting the RESET Forums. July is a big month for RESET as I would like to move the forums disk storage from spinning drives to a RAID 10 of SSD drives. I need your help to make this happen. Please use this link to visit Patreon and do your duty to help out! If you are stateside I'll be sending out RESET stickers while they last. There is also a link on the sidebar for simple PayPal donations if you prefer that. Regardless, thanks for helping out! RESET Forums, formerly Home Server Show, has had TWO Gen 10 Microservers on the test bench since early June when they were announced. John Stutsman, Mr. Microserver, and Kevin Schoonover, famous for creating the HDD Mod for the Gen 8, have been hard at work providing us details and reviews of the new Gen 10 Microserver. The SDM R4 is in stock and ready to ship! The SDM R4 is a bracket that facilitates mounting two additional 2.5″ drives in a HP MicroServer Gen8. There are also mounting holes for fans across the bottom to help cool RAID/SATA cards. The kit includes all the fasteners needed to install. The SDM R3.5 is in stock and ready to ship! The SDM R3.5 is a bracket that facilitates mounting one additional 2.5″ drive in a HP MicroServer Gen8. The kit includes all the fasteners needed to install. SOC-MSG8-R1 kit for 9.5mm optical drives to latch it in place. Screws included $9. I upgrade the stock 8GB to 64GB of RAM in the HPE ProLiant ML30 Gen9 using 4 DIMMs (“Sticks”) of Kingston KVR21E15D8/16. I upgraded to 64GB of RAM in my HPE ProLiant ML30 Gen9 using Kingston KVR21E15D8/16 from Newegg. The KVR21E15D8/16 was suggested by Schoondoggy on the forum thread RAM for ML30 Gen9. Video 1 – 64GB RAM in HPE ProLiant ML30 Gen9. Figure 6 – View of the four new DIMMs installed for 64GB of RAM. Time to replace the air baffle, tower bezel, and side panel then hook up the ML30 Gen9 and see if it works! Figure 7 – IT WORKS! Screen during first post showing 64GB RAM - for the first time! Thank you Schoondoggy!! Figure 10 – Task Manager showing 64GB of DDR4. Figure 11 – iLO4 System Information – Memory Information showing four 16GB DIMMs installed. Status is "Good, In Use". Figure 12 – Temperatures appear well within range while system fan speed was a consistent 6% - BIOS set to Optimal Cooling (Note that the two 40mm fans in the Icy Dock ToughArmor MB994SP-4SB-1 were also running). Figure 13 – HPE ProLiant ML30 Gen9 running with 64GB RAM and using 30.1 Watts. Everything seems to be working well – time to think about adding more drives and turn on Hyper-V!! Please join us in the HomeServerShow Forums to discuss this and tell us what you are building at home. After manually installing Windows Server 2016 easily on HPE’s ProLiant ML30 Gen9 I was anxious to see if an install of Window 10 Pro would be just as trouble free. It was! Besides having Hyper-V capabilities, Windows 10 Pro, is being looked on by many as the basis of a low cost Home Server as illustrated in “Building a Windows 10 Home Server – Anniversary Update Edition”. Check out HPE’s Operating System Support Matrices for insights on the many OS’s that the ML30 Gen9 supports. But, what will work goes beyond what’s officially supported by HPE in the “Matrices”. Windows 10 Pro is not listed in the Matrices but Windows Server 2016 is and Server 2016 shares much of the code with Windows 10 Pro as does Server 2012R2 shares with Windows 8.1 pro and Server 2012 shares with Windows 8. In order to manually load Windows 10 Pro I downloaded drivers for Server 2016. The simplest procedure, for me, is to use SPP to update all the ML30 Gen9 firmware first, then use the drivers for the B140i to load Windows 10 Pro, then after Windows 10 Pro is loaded and updated use HPSUM to load all the relevant drivers and software into Windows 10 Pro. Like Server 2016, Windows 10 Pro has its own generic drivers that will work with the ML30 Gen9’s NIC and Video so the B140i drivers is all that’s needed to get Windows 10 Pro onto the ML30 Gen9! HPSUM run (with Administrator Privileges) will load all of the missing HPE drivers I need in one step – including the NIC’s, Video, and SSA – just to name a few. Since I had just recently done steps 1-7 not long ago I skipped to 5 then did 7 through 16 below. Download Service Pack for ProLiant (SPP) from Hewlett Packard Enterprise Support Center – Drivers & Software – the current version is 2016.10.0 (24 Oct 2016) – check also threads about SPP at HSS Forum MS Gen8 Load the SPP ISO in “virtual drives” in remote desktop of iLO4 Boot the ML30 Gen9 – with no drives in the ML30 Gen9 in my case – and let SPP run automatically and update all firmware – See Figure 3 below. Shut down the ML30 Gen9 Next: I removed the Samsung 840 Pro 256GB that I had loaded Server 2016 on (giving me the flexibility to switch OS’s by switching SSD’s in the ML30 Gen9) and loaded another Samsung 840 Pro 256GB into drive 1 of the Icy Dock ToughArmor MB994SP-4SB-1 Go to the Hewlett Packard Enterprise Support Center – Drivers & Software – and download the file cp028631.exe that is the Dynamic Smart Array B140i Controller Driver for 64-bit Microsoft Windows Server 2012/2016 Editions (Since Windows 10 has the same core as Server 2016 I plan to use it for manual installation of Windows 10 64-bit Pro in the ML30 Gen9 – the HPE Drivers & Software site does not have Drivers & Software for non-server OS’s) – the current version is 62.12.0.64 (24 Oct 2016) Extract the files in cp028631.exe and load those into a file folder that I then attach/load in “virtual drives” of remote desktop of iLO4 (during Windows install this will be the folder I browse to so that Windows 10 can pull in the driver and see the Samsung 840 Pro ) Load the Windows 10 Pro x64 ISO in “virtual drives” of remote desktop of iLO4 Boot the ML30 Gen9 During boot go into IP (press F10) and select SSA (Smart Storage Administrator) In SSA I set up the Samsung 840 Pro as a single drive RAID0 to be used as my OS drive – See Figure 2 earlier. Exit SSA & IP and Restart the ML30 Gen9 Proceed with the normal Windows 10 Pro x64 install – During install Windows 10 will ask for location of drivers so it can see the drive(s) – in browse lead it to the location to the file folder of B140i driver(s) in the “virtual drives” C: -- if your OS drive had been previously formatted as MBR you will have to delete that so it can be formatted as GPT. See Video 1 below. After Windows 10 is installed and updated – reattach SPP ISO in remote desktop of iLO4 In the Windows desktop go to the SPP ISO in File Explorer and Execute the Batch file for HPSUM (i.e. execute: launch_hpsum.bat as Administrator) – I chose “Localhost Guided Update” – Automatic Mode After running HPSUM (and rebooting) the HPE software shown in Figure 4 below was installed. Enjoy! Figure 3 – After running SPP’s ISO the firmware of the ML30 Gen9 is up to date. Figure 5 – Temperatures in the ML30 Gen9 via iLO4. BIOS is set on optimal cooling and my single System Fan is running at 6% and the two 40mm fans on the MB994SP-4SB-1 are turned on. All in all Windows 10 Pro was easy to load onto the HPE ProLiant ML30 Gen9 providing a relatively cheaper platform (compared to Windows Server 2016) for a home lab for setting up and testing applications in Hyper-V for instance. In the As-Built that follows I list how this ML10v2 is loaded. 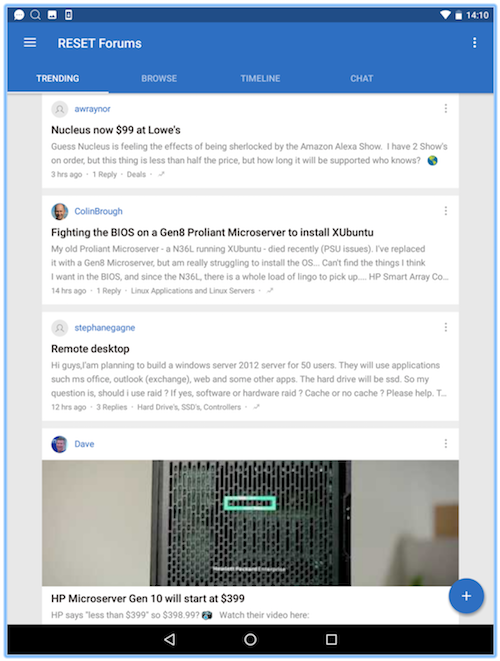 Be sure to check out more on this at ML10 and ML10v2 Forum and Windows 10 Pro on HPE ProLiant ML30 Gen9 Forum Thread. Figure 1 – HPE ProLiant ML30 Gen9 with Tower Bezel Assembly removed and both EMI shield’s removed. MB994SP-4SB-1 rests in static mat in front. After finishing up work on my ML10v2 I wanted to move back to the HPE ProLiant ML30 Gen9 and begin testing to eventually configure it as a workhorse in my home lab. First I wanted a way to be able to easily add 2.5” drives (from thin SSD’s but including up to the 15mm VelociRaptor’s – what’s a home lab without VelociRaptor’s I always say J). The ML30 Gen 9 (Product No. 830893) has 6 SATA III (6Gb/s) ports with 4 (ports 1 -4) to the LFF hot-swap cage via a mini-SAS cable from the System Board and ports 5 & 6 available as SATA III (6Gb/s) on the System Board all controlled by the embedded B140i on the system board. While I only had 2 extra SATA ports I also wanted some future expandability if I decided to move to an add-on controller card. I felt that the Icy Dock 4-in-1 ToughArmor MB994SP-4SB-1 would best fit my “want’s”. Figure 3– View of Icy Dock ToughArmor MB994SP-4SB-1 with the 4 x 2.5” SATA III (6Gb/s) hot-swap drive trays extended. Note that they are all metal construction with a very solid feel. Also note the anti-vibration design. Figure 4 – Bottom view of a single 2.5” SATA III (6Gb/s) hot-swap drive tray for the Icy Dock ToughArmor MB994SP-4SB-1. Each drive can be secured with 4 screws (supplied by Icy Dock) making for a very solid configuration. Figure 5 – Rear view of the Icy Dock ToughArmor MB994SP-4SB-1. Each drive has its own SATA III (6 Gb/s) port. The power is supplied via the Molex connector on the lower left and the two 40mm fans are controlled by the on/off switch above the Power Connector. I would certainly want the fans “on” if I fill the ToughArmor with 15mm high VelociRaptors to keep my “Raptors” cool but even if I fill the ToughArmor with SSD’s I plan to have the fans “on” to provide more air circulation inside the ML30 Gen9. Currently, I’m planning to only connect SATA Ports 1 & 2 and save 3 & 4 for future expansion. SATA Ports 1 & 2 will be connected to SATA III (6 Gb/s) Ports 5 & 6 located on the ML30 Gen9 System Board. Figure 6 – This specification chart I copied from Icy Dock’s web page for the ToughArmor MB994SP-4SB-1 The major item missing from this chart is that each drive tray will accommodate 2.5” drives up to 15mm thick. 15mm is the thickness of a VelociRaptor without its cool pack for 3.5” drive spaces. The “Data Sheet” for the MB994SP-4SB-1 in Figure 7 below does reference the drive height that the drive tray will accommodate. Figure 7 – Icy Dock’s “Data Sheet” that I downloaded from their web page for the ToughArmor MB994SP-4SB-1. Figure 8 – HPE ProLiant ML30 Gen9 with Tower Bezel Assembly removed and both EMI shield’s removed. MB994SP-4SB-1 rests on static mat in front. The two 18 SATA III cables that I attached to SATA III Ports 5 & 6 on the System Board extend out of the front of the ML30 Gen9 case. Video of installation of the MB994SP-4SB-1. Figure 9 – After running SPP’s ISO the firmware of the ML30 Gen9 is up to date. After running HPSUM (and rebooting) the HPE software shown in Figure 10 below was installed. Enjoy! Figure 12 – Temperatures in the ML30 Gen9 via iLO4. BIOS is set on optimal cooling and my single System Fan is running at 6% and the two 40mm fans on the MB994SP-4SB-1 are turned on. I really like the MB994SP-4SB-1 in the ML30 Gen9 and the installation of Windows Server 2016 while updating the firmware and drivers with SPP and HPSUM was relatively trouble free. In the As-Built that follows I list how this ML30 Gen9 is loaded. 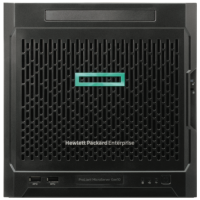 Be sure to check out more on this at ML10 and ML10v2 Forum and Icy Dock MB994SP-4SB-1 ToughArmor in HPE ProLiant ML30 Gen9. Please join us in the HomeServerShow Forums to discuss this and many other interesting topics. A year ago when I was planning my move to Ohio I wanted to move my 5TB drives from my HPE ProLiant ML30 Gen9 to my HPE ProLiant ML10v2 in order to set up a “Mirror” backup of the files on my WHS2011 system using AllWay Sync on my ML10v2. The fastest way to make the move was to unplug the drive-cage in the ML30 Gen9 and plug it into the ML10v2! It fit perfectly and worked flawlessly. It also spoiled me! After settling in Ohio, finally, I wanted to return the ML30 Gen9’s drive-cage to its rightful place and I began searching for the best low-cost way to add a drive-cage to my ML10v2 that worked like the one in the ML30 Gen9 instead of the stock ML10v2 drive-cage. There’s a great discussion in the HSS Forums documenting forum members search for a similar drive-cage. Figure 2 – Pages 18 & 19 of HPE ProLiant ML30 Gen9 Server “Maintenance and Service Guide”; Part Number: 825545-001; December 2015; Edition 1; shows a spare part number 792351-001 for the Four-bay LFF Hot-plug drive backplane assembly which would include the a) Drive backplane and Drive cage – Part 792351-001 is the part I first looked for and found at Calhoun Technologies. After reading some great suggestions in the Forums I stumbled upon the 792351-001 in the parts number of the ML30 Gen9 manual and thought it should fit the bill and found a low-cost option at Calhoun Technologies for a 792351-001 “Refurbished”. Figure 3 – ML30Gen9 drive-cage (also 686745-002 footprint) compared to 792351-001 on bottom – the sharpie markings show how much wider the front of the 792351-001 frame is compared to the 686745-002 and why the front cover of the ML10v2 wouldn’t close on the 792351-001. The 792351-001 did work in my ML10v2 but I could not close the front cover on the ML10v2, so I kept looking while also trying to modify the 792351 with my Dremel. I could make it fit finally, but only after a lot of Dremel work and the end result didn’t look good. Figure 4 – Tag identifying the drive-cage assembly in ML30G9 as: HPE P/N 674790-002 Replace with spare HDD Cage, 4Lff, $u Gen8 Enhanced (686745-002) LITEON (Rev. 15-11-17. The 686745-002 that arrived was identified with a similar tag: HP P/N 674790-002 Replace with spare HDD Cage, 4LFF, 4U Gen8 Enhanced (686745-002) LITEON (Rev.A) 14-03-17. On the drive-cage out of the ML30 Gen9 I found the part number 686745-002 which I thought was the part number of the cage alone. (I was wrong about that!) I found it at Calhoun Technologies listed as HP 686745-002 “Refurbished” SPS-HDD cage 4LFF 4U Enhanced. Thinking that it was likely only the drive-cage without a backplane I ordered it since with the 792351-001 I had an extra backplane. I was wrong! The part number referred to the assembly of the drive-cage and backplane. As the following pictures will show the 686745-002 arrived with a backplane and it appears to be working flawlessly. Video of my installation of the 686745-002. Thanks to the members of HSS Forum Thread: ML10v2 Drive-Cage for their many insights and suggestions and thanks to forum member ToyCeli22 for starting the thread. In the As-Built that follows I list how this ML10v2 is loaded. Be sure to check out more on this at ML10 and ML10v2 Forum and ML10v2 Drive Cage Forum Thread. Please join us in the HSS Forums to discuss this and many other interesting topics.